In 2008, I partnered with filmmaker Nick Doob to direct and produce THE MEMORY LOSS TAPES, one of the films in HBO's Alzheimer's Project. The film portrays. in cinema verite style, the experience of those living with Alzheimer's at various stages of the disease. 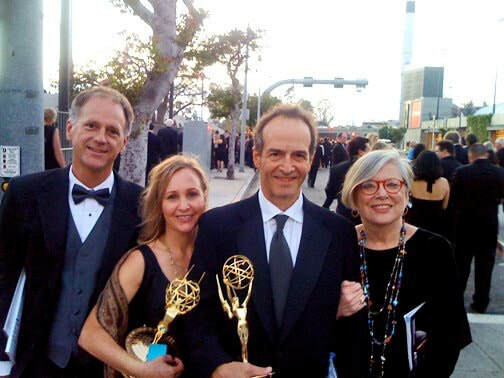 We won an Emmy for Exceptional Merit in Nonfiction Filmmaking for our work on the film. In 2010 we formed Mackerel Sky Films to continue our filmmaking partnership. We work without additional crew (Nick, camera and me, sound) and use small portable equipment, creating a distinctly intimate personal style of filmmaking. Our films include, PAYCHECK TO PAYCHECK: The Life & Times of Katrina Gilbert. WEIGHT OF THE NATION FOR KIDS (3 short films), and REQUIEM FOR THE DEAD: American Spring 2014.